Just when I was feeling a bit gloomy – a wonderful surprise in the mail. 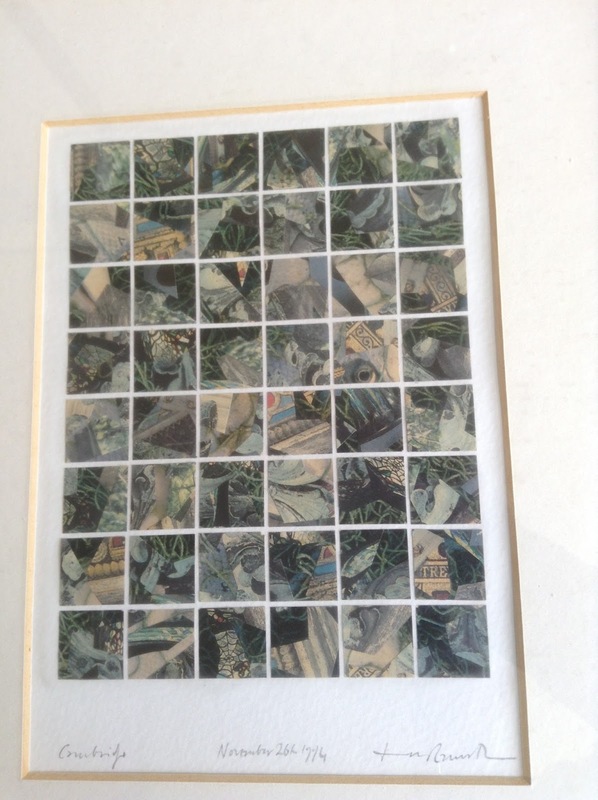 I wasn't expecting a large package, but when I opened it, a framed picture emerged: a collage by Tom Raworth, signed and dated Cambridge 1994. 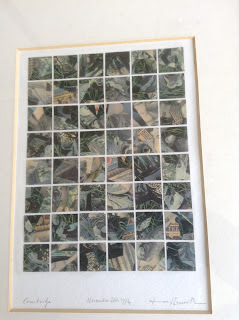 It had been sent by a long-time Reality Street supporter, in recognition of my "work in poetry over the decades", one of four similar collages he was disposing of because he was downsizing to a new home and no longer had room for much of his art collection. It will receive pride of place in our house in Hastings. Thank you.